Just how accurate is this design? 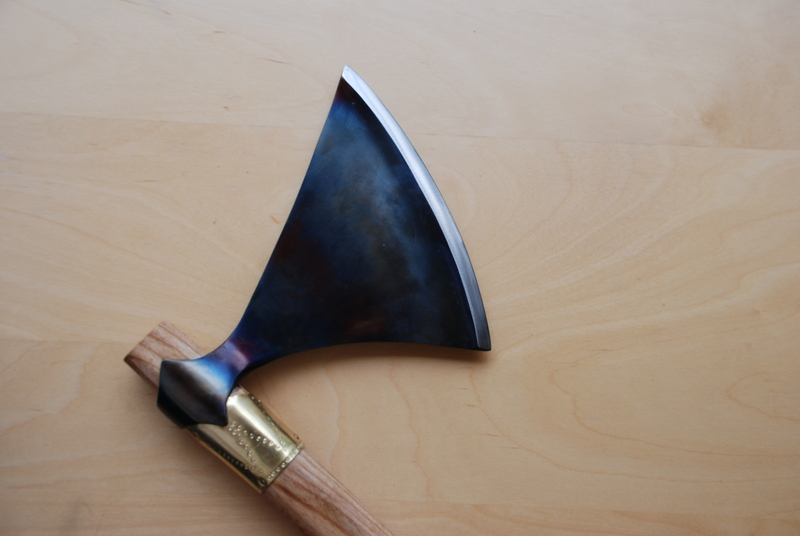 It is a close copy of an broad axe from circa 1000AD, it is a little lighter than the original, but not my much. The collar is taken from an example of a similar late broad axe found in the River Thames. The bluing is entirely speculative.